How would your life be altered if you saw things differently? What does you’re feeling safe have to do with it? Are you even aware of how seeing differently might alter your awareness and true perspective? My personal viewpoint has always preferred, and it always comes with a rather consistent thought that it is better than everyone else. But is it really? This defines egotism doesn’t it? But the really hard part to talk about is, no matter how many times I’ve changed my perspective, I seem always to be “right.” It’s amazing that I could change my perspective so many times and still be right every time. Funny but not really, right? To get a proper perspective of what I’m taking about, join me on the 102nd floor, or The Observation Deck, on the Empire State Building. What do you see? The Secret Floor ABOVE the Observation Deck of the Empire State Building NYC. Taylor Swift standing on the Secret Deck, or the 103rd floor, of the Empire State Building NYC. Is it me? Or is she gripping the rail pretty tight? What about you? Do you feel safe in looking at these pictures? Make your comments below. In the beginning you see the truth. In your learning you are taught to see. As you are taught to see, you are instructed to see like those who teach you. In the end you will again see the truth. How would your life be altered if you saw differently? Personally, I’m aware how many of my perspectives have changed. But you know what hasn’t changed that much? Or at least, it hasn’t changed proportionately? My attachments to my perspectives. Every viewpoint I’ve ever had comes with an automatic “this is right.” My viewpoint is preferred and seems to be always better than someone else’s. And like many who proselytize, I’ve determined to share my perspectives in preference to anyone else’s to proclaim that my vantage point is right. This defines egotism doesn’t it? 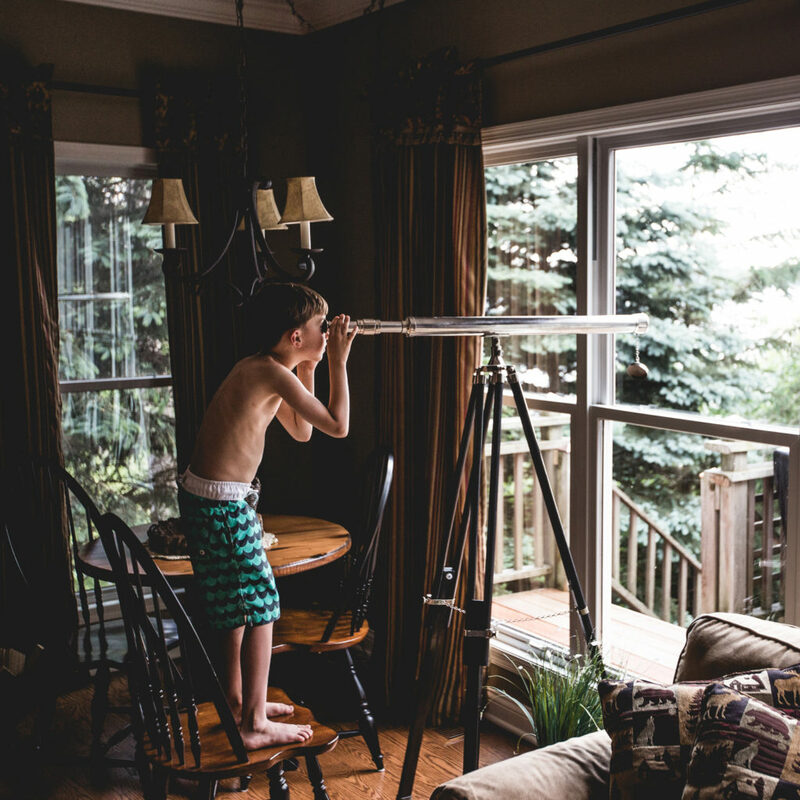 Knowing this doesn’t seem to make much difference… because even though I’ve changed many of my perspectives, I still find myself clinging to the thought that my “new way” of seeing is the right one. It’s amazing that I could change my perspective a dozen times and every time that I do, I am always correct. Funny but not really, right? Let me give you an example. Imagine going to the top of the Empire State Building in New York City. You push the elevator to go up to the “The Observation Deck” which is 102 stories high. Once you step out of the elevator you can walk around the deck in a full circle, to overlook Central Park, The Hudson River and East River, The Brooklyn Bridge, Times Square, The Statue of Liberty, and more. Additionally, there are high-powered binoculars providing you the ability to zoom in to almost any part of the city. It’s truly incredible. Imagine though, that wherever you stand it is different than any other’s viewpoint. In essence, every perspective of the Observation Deck is unique. Think about this, it’s easy to conceive that others have stood in this exact spot overlooking the city, but even dozens of people standing in the exact same spot witll have different perspectives. Let me point out that your perspective isn’t right. It’s just a viewpoint. Let me really put a crown on it. Let me tell you a secret about the Empire State Building. 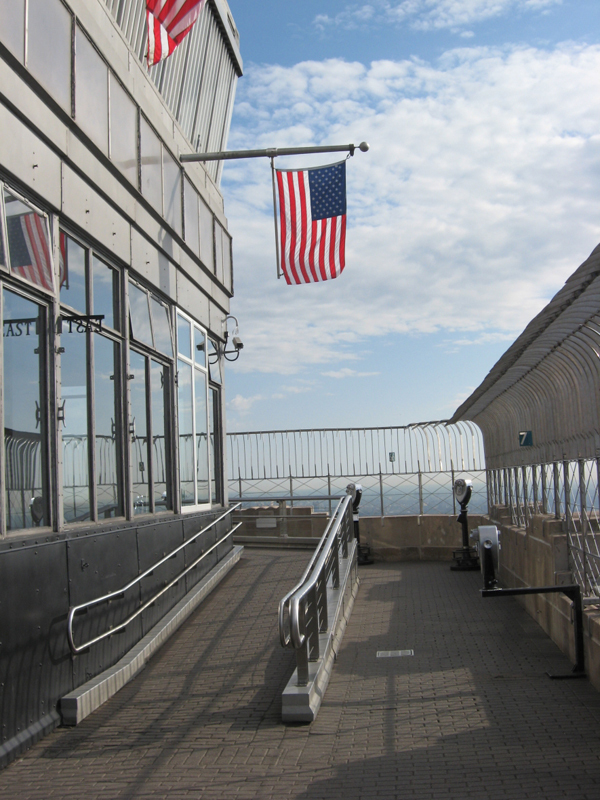 Did you know that there’s another floor above the Observation Deck? Imagine seeing from every perspective from the Observation Deck only to find out that there’s still one more floor -even higher! This changes everything. Let me share with you why. The Observation Deck has a 360-degree view but there’s a very tall, lattice structure that completely surrounds this level. It’s like looking through a well-designed crosshatched fence. If you look up, you’ll see a metal enclosure that is 10 feet in height, and it’s the kind of barrier that you’d see at a prison – you know, with the very sharp spikes that are designed to prevent anyone climbing out. On the 103rd floor, there is no high fence. There is no metal lattice structure. It has just a small knee-high ledge topped with a low railing. It’s not quite waist high. If you want to continue to see things differently, then come to my website at WestonJolly.com and click on this podcast post, to see actual pictures of the Observation Deck and the secret 103rd floor. If you’re really paying attention you may already know what I’m about to say… Feeling safe versus not feeling safe absolutely changes how you see things. While the 103rd floor of the Empire State building is usually reserved for VIP’s and celebrities all of this doesn’t matter, if you don’t feel safe looking out. It doesn’t matter who you are if you don’t feel safe. Every vantage point from the observation deck is excessively protected. It’s designed and made to be safe. These barriers are almost gone when you step up to the 103rd floor. My purpose in asking you to see things differently comes from a place of compassion and perspective that everything changes if you haven’t seen yourself as safe. This affects you. If you aren’t able to feel safe on whatever level, it challenges your perspective. And this in turn creates a rocky imbalance. When you’re not feeling safe it’s like standing on boat in the middle of the ocean with big waves. Everything is moving and challenging your natural sense of balance. In essence, there’s lots of work in trying to find balance – let alone a perspective. If you’ve gone to the top of the Empire State Building or even the Sears Tower in Chicago then you know that these super tall buildings actually move. Let me say that differently, they sway. When the wind blows these buildings tilt. If you’re not familiar with this notion it can really mess you up a little. Imagine going up an elevator in one of these buildings knowing that the elevator is moving left and right or maybe in a circular motion based upon the whole building moving. I’m super sensitive and I couldn’t figure out why I felt a little seasick riding the elevator up the Sears Tower. When I saw the other buildings oscillating I assumed that they were moving – not me. When I learned that we were moving this changed things. I didn’t feel safe. It made me see things differently. It made it hard to look out. Our compassion in seeing things differently first comes in seeing ourselves as not the only camera in the room. I know you understand that but you actually need to feel it. Believe me, I truly thought it was the OTHER building in Chicago that was moving… I was really jarred when I realized that the Sears Tower Building was swaying too. I am going to ask you a question? How does feeling safe, or not safe, affect your perspective? I want to change this from a theoretical concept and move it into something quite practical. I want to talk about you. If you’ve never known how it is to feel safe then you’re perspective may be constantly shifting like always living on a boat. It’s always shaking and moving and as a result it takes a lot of energy to gain a clear vantage point. Even yours. I think one of the hardest things to do is to see outside of your self. If you’ve grown up in the wild west of not living in a safe place, it affects every part of your being. I’m going to use myself as an example, and then I want to get back to talking about you. In business I’ve always had a predisposition to write a really great contracts. I’m not a lawyer, but I have a good to great grasp of the language and the concepts, especially surrounding business. I have constructed hundreds of legal contracts with one purpose. I’ve haven’t been interested in cheating or creating some unfair advantage by using contractual law to prosper. Nor, am I interested in becoming a lawyer. I guess if I had been then I would have studied and passed the bar exam a long time ago. THE reason I have written so many legal contracts is because I didn’t feel safe. Let me repeat that, I’ve studied the law outside of having formally going to law school with the exclusive purpose of trying to create an agreement where I could be safe. On one hand it’s kind of funny, on the other it’s kind of sad. The reason I say this, is because there isn’t a contract on Earth that could make me feel safe. Here’s the real kicker. I’ve always known that I could write a good legal agreement, but I never really understood why. I now know why, and so do you. Okay, enough about me. What about you? Right now, without thinking about it, can you observe a place in your life where you don’t feel safe? What things are doing that you may not know why you’re doing them. Is it because you don’t feel safe? I want you to imagine sitting next to me. And I’m going to ask some more questions that may stimulate some more observations. When you eat do you feel safe? Don’t just answer what you think is an answer… what do you feel when you eat? Right now I can think of no less than a couple dozen people, without even trying, who eat obsessively because they don’t feel safe around food. There are plenty of people who encountered abuse while eating. I can think of one man who approached eating dinner like a frightened dog. He would circle the dinner table because of the smells that drew him there and he was starving. Ultimately he’d find his seat. Then the predator walked in, all the energy in the room changed. Only when the predator said, everyone could eat, did the meal begin. As soon as it did, this young man would eat as fast as he could. Usually finishing everything within a couple of minutes. The speed in which he was eating was a means of protecting himself. He needed to eat, and did so with haste, before any “repercussions” would occur. In another case, that was very similar, this boy would hardly eat anything during dinner. He’d wait until everyone was asleep and then he’d go back into the kitchen and eat late at night – when it was safe. Does this resonate with you at all? Do you have any issues around feeling safe around food? Don’t be embarrassed there are a lot of people who do. Remember what we’re doing here. Our intent is to see things differently and with compassion. Seeing differently and with compassion can truly change things. Continuing, do you feel safe when you’re sleeping? How do you sleep when you leave the house? Like staying at a hotel? Or what about staying in someone else’s house? Imagine if you have trouble feeling safe to go to bed at night. If you can’t properly rest, then physically this affects every aspect of your life including your perspectives. Knowing this is wonderful but let’s say that you’ve bumped into an area where you don’t feel safe. How can you change the way you see to become more liberated? Let me share with you some very quick points. Become aware of where you don’t feel safe. Maybe you can see some places where you don’t feel safe. If you’re writing great legal contracts and you don’t know why, it’s time to become aware. Let your awareness be observed. Don’t do anything with it, not yet. Within your body, are there certain places don’t feel safe? Think of your body as a large bank vault. Once you open the combination, and the large heavy door there are all kinds of storage places. What parts of your body do you store not feeling safe? Feeling safe is physical attribute. You want to use your awareness; to determine exactly where you don’t feel safe. Next you need to mindfully practice new alternatives to your feeling safe. This part of these three quick steps needs to be done repetitively. And it needs to be done mentally as much as it’s practiced physically. Remember mindful practice to choosing to feel safe. Once you’re able to realign your body there won’t be any hidden triggers that affect your body. We want to re-balance, or re-center your body, so that you aren’t creating a civil war within. What I mean you don’t want to have your body fighting your intellectual or spiritual awareness. You want to release the cubbyholes of fear, again not feeling safe, from your body. For this release to work, it needs to be permanent. Think of filling up a paper cup with water and poking a hole in the bottom. No matter how large or small the hole, at one point there won’t be any more water in the cup. This releasing is desired but we don’t want to continue filling the cup, with thoughts and actions that you aren’t safe. Obviously, there’s a lot here. If you’re having personal issues in not feeling safe I suggest that you reach out and make an appointment. I can help. And if it’s not me, then get whatever you need to get to the other side. If you truly want to see things differently, you’ve got to get past issues of not feeling safe. Feeling solid and safe will completely change they way you see things. 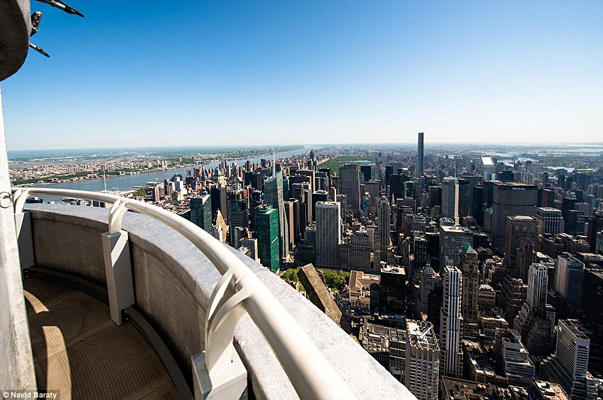 Wouldn’t be nice to be on 103rd floor of the Empire State standing next to the railing feeling completely safe? When you do it will enable you to actually look out. If you don’t feel safe, then your safety is all you’re thinking about, and as we all know, it’s what you’re creating. In summary, for you to see things differently, you have to feel safe. Imagine how my life has changed not having to write legally wonderful contracts to protect myself? Imagine, you eating and feeling safe. Imagine you sleeping safe and sound. Imagine that you ARE safe. As you feel safe, it enables you to go higher. You’ll notice that the guardrails are removed because you don’t need them. You’ll find yourself free to enjoy a new world. This is vastly different than just another viewpoint. This is literally how you ascend in your connection. How do you feel? Do you feel safe? Or was just another something nice to listen too? Take this test, go to my website, and take a look at the pictures there, and look at the differences between the observation deck with all of its protection and take a good look at the secret floor above. Write down in the comments area how you actually feel? It’s good to acknowledge it in loving and compassionate awareness and then release as we discussed. And you may want to re listen to this podcast as there’s a lot of wonderful little hints of how to break out in seeing things differently. With great honor and love always…. Connect with your higher self with these free podcasts to increase your spiritual skills. What Does ‘Old Soul’ Mean?